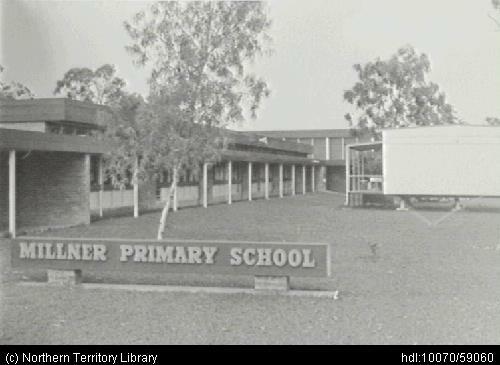 Millner School was first opened in 1968 and has recently celebrated a rich 50 year history. The suburb of Millner was named after Dr James Millner (1830 – 1875) who was appointed the Protector of Aborigines and acted as Government Resident, Colonial Surgeon, Special Magistrate and Medical Officer. 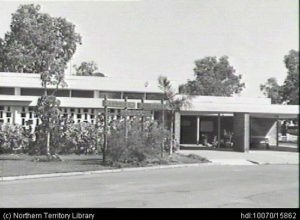 The school survived Cyclone Tracy and students who were not evacuated and could no longer attend the damaged neighbouring schools of Nightcliff and Rapid Creek in 1975 joined Millner students. The school was renamed Nimira School during this period to represent the three communities. Millner has a proud tradition of academic and sporting achievements. There are a number of third generation students at Millner whose parents and grandparents proudly boast that they attended Millner Primary School. This is unusual in the Northern Territory. There is a copy of the Millner History document located at the school. This is a more comprehensive document researched and compiled by Samantha Wells, Consultant Historian, former Parent and School Council member for Millner School that highlights the school’s significant milestones and events.